MIT News has reported that William J. Mitchell, the former dean of MIT’s School of Architecture and Planning, who pioneered urban designs for networked, “smart” cities and helped oversee an ambitious building program that transformed MIT’s physical campus, died on June 11 after a long battle with cancer. He was 65. Mitchell was considered one of the world’s leading urban theorists. Through the work of his Smart Cities research group at the MIT Media Lab, he pioneered new approaches to integrating design and technology to make cities more responsive to their citizens and more efficient in their use of resources. He likened tomorrow’s cities to living organisms or very-large-scale robots, with nervous systems that enable them to sense changes in the needs of their inhabitants and external conditions, and respond to these needs. 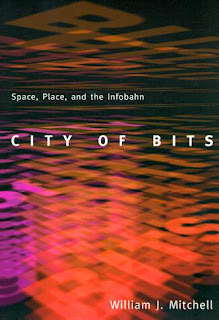 Bills book City of Bits: Space, Place, and the Infobahn (1995) had a major influence on our work here at digital urban. 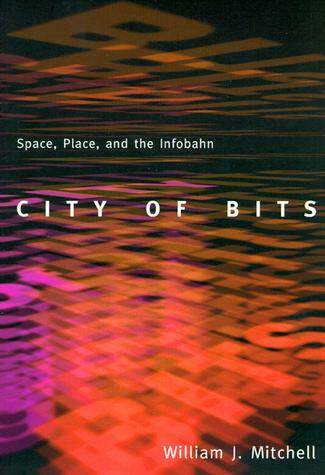 While not technical per-se it is a book full of ideas looking into a new type of city, and the systems of virtual spaces interconnected by the Internet – or – information superhighway as it was then known. Bill’s follow up e-topia: Urban Life, Jim-But Not As We Know It (1999) was equally influential.